Showcasing some of Southern Nevada's more prominent water-efficiency practices and water resources, WaterSmart Innovations invites conference attendees to participate in technical tours Friday, October 5. Springs Preserve tour is $25 and all others are $35 per registered WSI 2018 participant. Tours will depart from the South Point Hotel and Conference Center. We recommend you wear comfortable clothing and shoes (no flip-flops, please). Due to security measures, all tour participants will be required to present a valid photo ID (i.e. driver's license or current passport) along with their ticket as they board the bus. On-site facility personnel may also ask to see your photo ID. If you want to bring a guest, please have the guest complete a separate registration, select the Expo only badge, select the tour, and complete the registration. The number of participants is limited for each of these popular facility tours, so register early. Registration opens May 1, 2018. Green isn&apos;t just a color, it&apos;s a way of life. 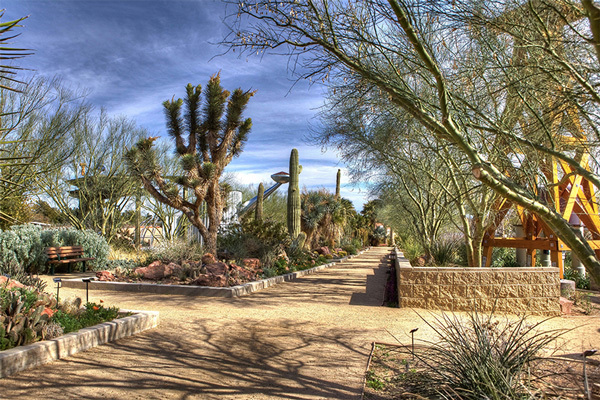 The 180-acre Springs Preserve is a world-class center for sustainable living. This tour highlights sustainable technologies that make the Springs Preserve the largest Platinum LEED rated commercial building in the Southwest. Structures include innovative construction techniques such as rammed earth and hay bales. A constructed wetland captures and treats all wastewater onsite, then reuses the treated water to flush toilets. Eight acres of beautiful desert gardens highlight opportunities for responsible use of landscape water, while the new interactive exhibit, WaterWorks- inside the Las Vegas Valley Water District&apos;s operational Charleston Heights Pumping Station- provides a behind-the-scenes look at how Southern Nevada&apos;s water supply makes its way from Lake Mead to local taps. This tour includes complimentary lunch at the Divine Cafe, with a gorgeous overlook view of the facility and the Las Vegas Strip in the distance. Check in by 11:30 a.m., depart at 11:45 a.m., return to hotel by 5 p.m. 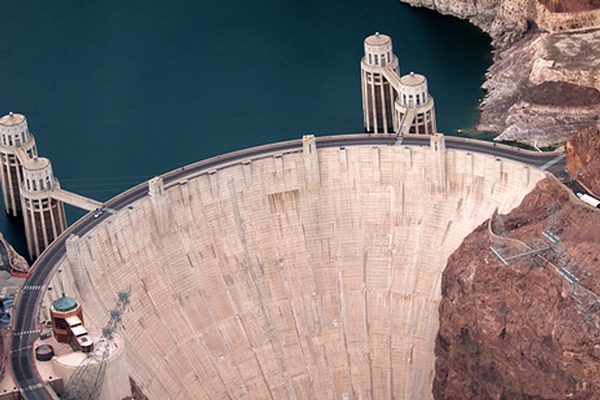 Built during the Great Depression to “tame” the wild Colorado River, the legendary Hoover Dam still stands today as one of the world&apos;s engineering marvels. PLEASE NOTE: Due to ongoing elevator construction and maintenance, this year&apos;s tour will be self-guided and will not include visits to the penstocks and power plant generators; it will be limited to the exhibit area, observation deck, visitor center, and the top of the dam. Tour does not include lunch; please plan on eating before departure or you can bring your lunch to eat on the bus. Water will be provided. Check in at 11:30 a.m.; depart at 11:45 a.m.; return to hotel by 5 p.m. Cutting a green swath through the eastern Las Vegas Valley, the Clark County Wetlands Park is many things: a wildlife habitat, a family-friendly recreational complex with a nature center and hiking, biking, and equestrian trails, and a crucial element of Southern Nevada&apos;s water supply system. A two-decade collaborative effort involving 30 public agencies and thousands of community volunteers has transformed the Wetlands Park from a polluted, heavily-eroded drainage channel into a natural preserve teeming with native wildlife- while it also serves as a natural filter that “polishes” the Valley&apos;s runoff and excess water before it enters the Colorado River. 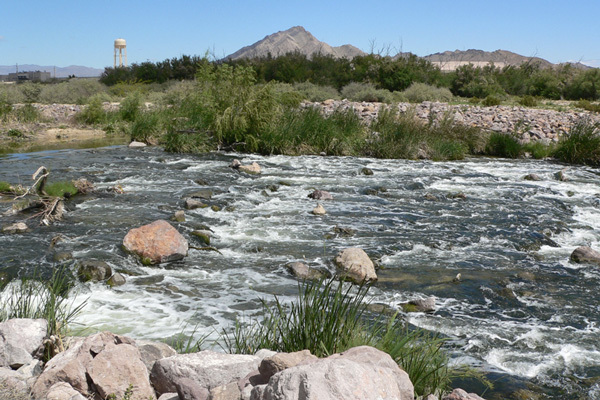 With an average flow of about 200 million gallons per day, most of which is discharge from four wastewater treatment plants, this “urban river” is a vital link in a cycle that allows Las Vegas to bolster its water supply by 70 percent through reuse, while improving the watershed, providing effective wildlife habitat, and creating new recreational opportunities. Comfortable, sensible footwear is a must. Sunscreen and water will be provided. And don&apos;t forget your camera, you never know what surprises nature will offer up! Tour does not include lunch, please eat before departure or you can bring your lunch to eat on the bus. Check in at 11:30 p.m.; depart at 11:45 p.m.; return to hotel by 5 p.m. 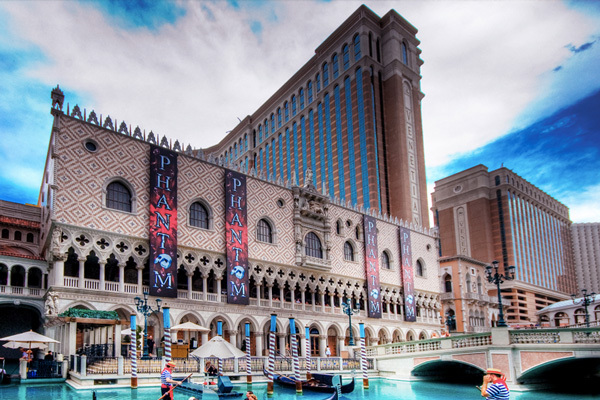 Located on the legendary Las Vegas Strip, The Palazzo Resort is part of a master-planned development which combines The Palazzo and the Sands Expo and Convention Center to form the largest LEED-rated green building on the planet. Join us on a "behind-the-curtain" tour for a look at The Palazzo, with visits to the hotel Atrium, a luxury suite completed with energy efficient lighting and low water-use fixtures, the kitchen, recycling center and the innovative cooling system which saves 50 million gallons water a year. Learn how Las Vegas&apos; gigantic luxury resorts capitalize on scale and know-how to be more efficient on a per-room basis than a typical chain hotel. Check in at 9:45 a.m.; depart at 10 a.m.; return to hotel by 1:30 p.m.